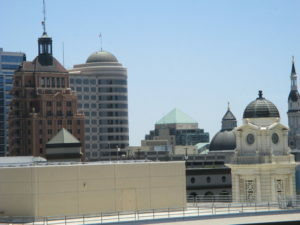 I am walking down the fifth-floor hallway of the Superior Court of Sacramento at G and 8th, on jury duty for the fourth day. The tiled floor, black with gray and white flecks, is meticulously cared for and shines with a recent polishing. The round ceiling lights reflect brightly in the black squares below, and I notice a change come over me. This shift in consciousness is subtle and quick. I feel frightened and am a little light-headed and disoriented. Look away from the lights, I tell myself, look ahead where you are going. I do and immediately am back to myself, unafraid and anticipating the future–hopeful I can get a window seat in the cafeteria for the lunch hour. The view from the top floor is awesome. Triggers, symptoms of post-traumatic stress, are the companions of those who’ve been traumatized. Though my trauma occurred over sixty years ago, I am still affected by any sight that replicates the round, bright lights of a surgery theatre. I was awake when I lay strapped down to the table in the operating room at twenty-six days old. Anytime, anywhere I see round, bright lights above me against a dark background, I am terrified. But only momentarily–because I can figure out how my trigger is connected to the past and let it go. In this way, I have the power to say no to powerlessness and dissociation and say yes to staying in the now–my point of agency. Trauma survivors have the power to do this. One must study oneself, however. One must devote oneself to self-understanding. One must use tools that draw the hidden self into the light. One must care deeply about wanting to know one’s authentic self. It’s not easy to reclaim one’s life after trauma, but it is entirely possible. Creativity is key. Connection to others. To boil it down though, befriending the self is essential. Knowing that the surgery lights were being triggered in the courthouse hallway is a way of understanding myself with compassion. 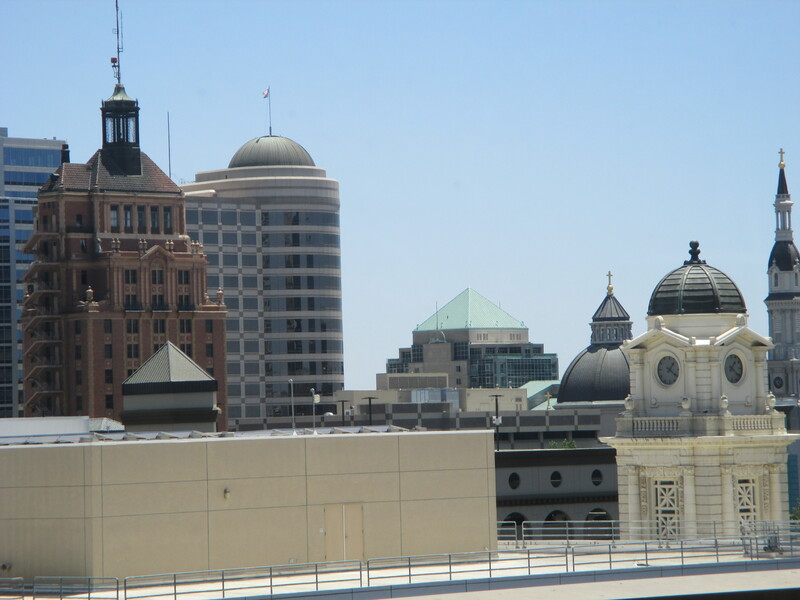 I am acknowledging what happened to me, accepting it, and moving on–on to the cafeteria, the large sun-filled windows, and the Sacramento skyline with its domes, steeples, towers, and curves of glass. Know thy triggers. Know thyself.